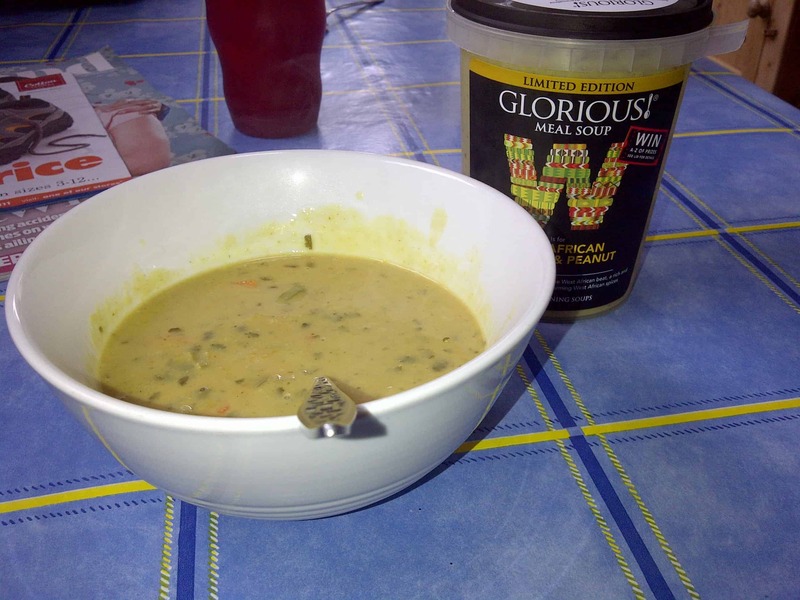 The perfect gluten free pick me up: soup, Glorious soup! You know those days when you feel like rubbish, the wind is howling, it’s pouring with rain and you just want to wrap yourself up in a blanket and eat soup!? Well, today is one of those days, and I have found the yummiest, most comforting soup EVER! 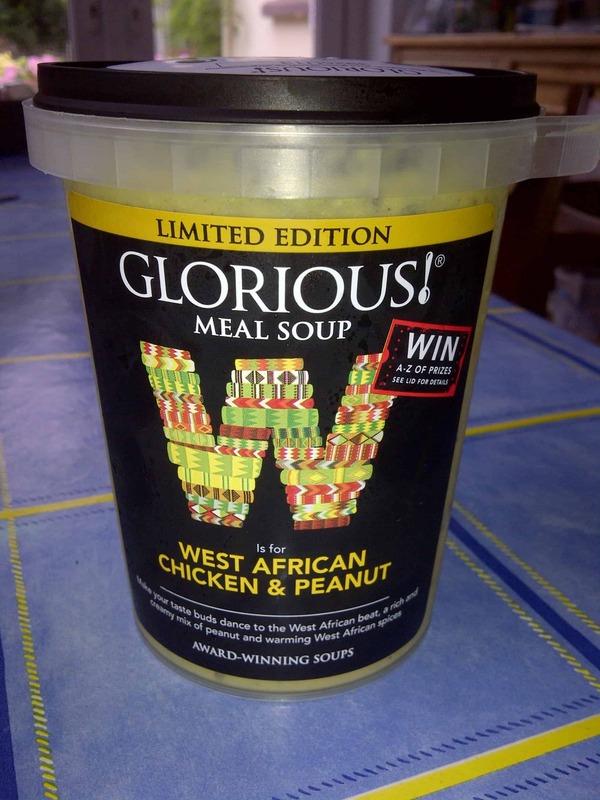 Glorious Foods‘s soups always look amazing, but when I spied their West African Chicken and Peanut soup there was no option but to chuck it in my basket. “We love the West African combination of Spices from the east combined with nuts and pulses from the west. A genuine melting pot of ingredients. I love ‘meal soups’ because they’re full of texture – and this one didn’t disappoint. There was chunks of potatoes, rice, bits of chicken, peppers and peanuts all in the mix which made it really filling. The peanut flavour wasn’t overpowering – it added a subtle undertone to the spices and had a bit of a kick – the boost I needed to try get rid of this cold! For me, soup really is the ultimate comfort food – warm, tasty, with a bit of a kick and oozing flavour, this is the perfect pick me up. What’s your favourite comfort food when you’re feeling crappy? Comment below and let me know! I had some great comfort food this weekend – Amy’s Kitchen Rice Mac and Cheese. It’s been sitting in my freezer for a while but I wish I’d tried it earlier – it was lovely! Oh, that’s on eof my FAVES!! I wrote a review on it a few months back – it’s just amazing and the perfect pick me up when you don’t want to cook, pure indulgence! !